26-year-old woman presents with generalized weakness. 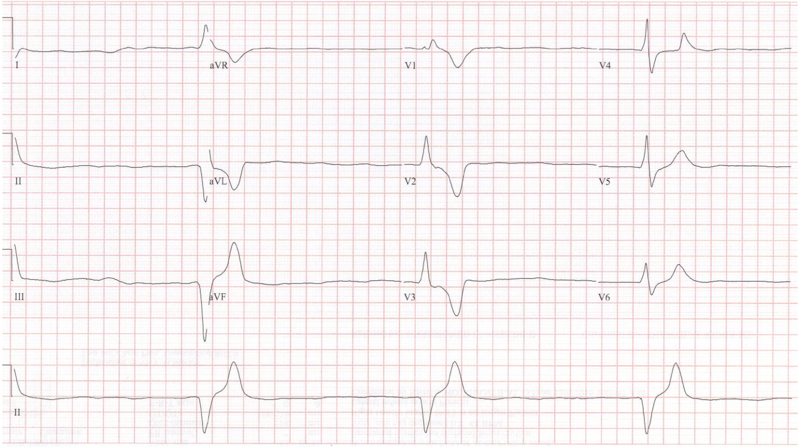 This bradycardic rhythm is wide-complex and regular at 22/minute. There are no discernible P waves. Without further information this rhythm is best described as a slow junctional rhythm. However, we do have more information. This young woman has SLE with renal failure requiring dialysis. Even if she has not missed a dialysis session, one must assume this bradycardic wide-complex rhythm is due to hyperkalemia. Hyperkalemia has several predictable effects on the EKG. The P-wave, QRS-complex, and T-wave are all targets of this “poison” that effects normal depolarization and repolarization. These effects occur in a predictable sequence. 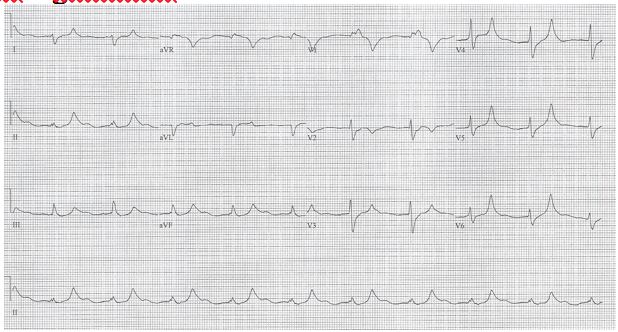 The first sign seen is increased amplitude of the T waves – a peaked, narrow-based T wave. As the level of potassium continues to rise, the next changes are prolongation of the QRS complex and then diminution of the P wave. 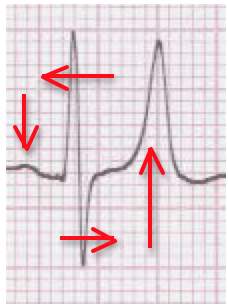 With further QRS prolongation, the EKG complex begins to resemble the pre-terminal sin wave of critically severe hyperkalemia.